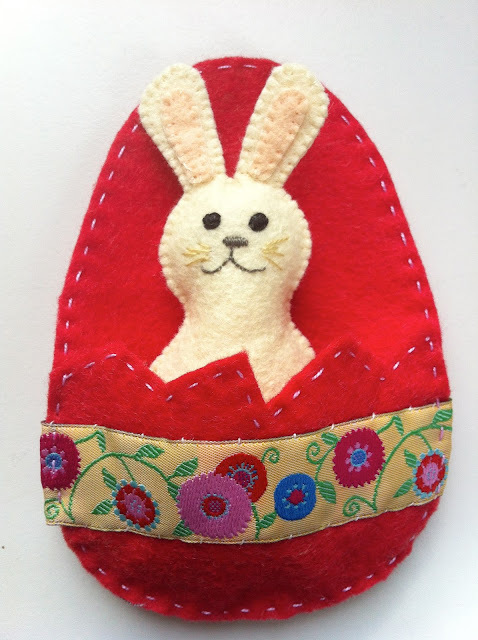 Patchwork n Play: Run, Rabbit, Run, Run, Run! 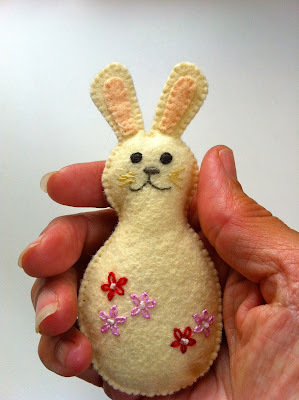 I had an absolute ball making this little fellow with some of my birthday felt! I originally saw the idea here. and give him a cosy little home! He's only about 6 inches tall! Do you think the Easter Bunny will be run...run...running to your house! He looks pretty happy in there, doesn't he? Too cute for words. And I love the egg sleeping bag! Very cute Suz, love his/her Easter egg sleeping bag. Isn't he just gorgeous! Love him! I really like the way you have done the egg, too. More to come??? What a cute bunny and I love the egg! This is just too adorable. One of the cutest things I've seen this Easter season. It's rabbit pie day! Just kidding. He's very cute, as is his home (love the ribbon deco). I think he needs a matching little yellow chick! Totally adorable!! 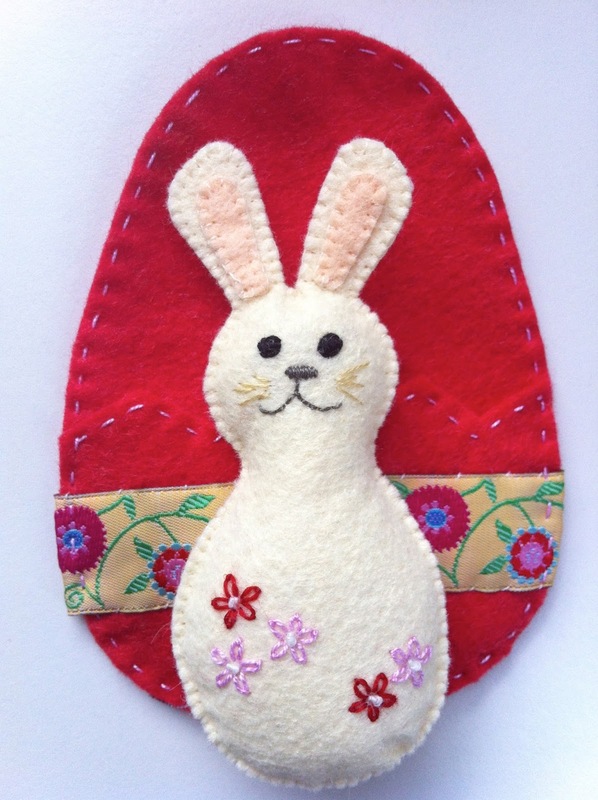 Love the bunny and the cute stitching and it's egg is so fun! Awww I love him :) Too cute! !